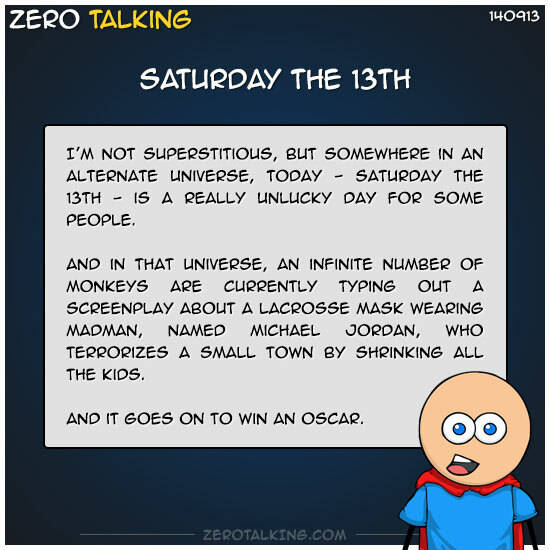 I’m not superstitious, but somewhere in an alternate universe, today — Saturday the 13th — is a really unlucky day for some people. And in that universe, an infinite number of monkeys are currently typing out a screenplay about a LaCrosse mask wearing madman, named Michael Jordan, who terrorizes a small town by shrinking all the kids. And it goes on to win an Oscar.